A polish formulated with high-quality abrasives which focus on removing medium to light scratches and defects from your cars paintwork. 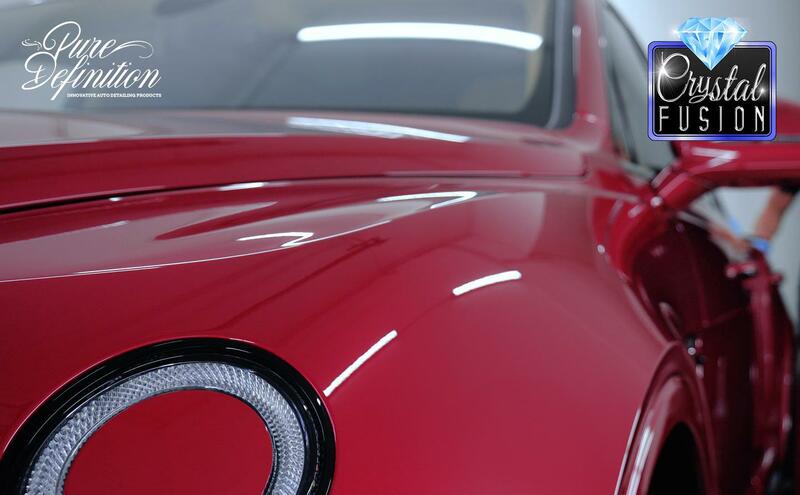 Creating a crystal clear finish to your paintwork is only possible through removing the haze of scratches covering up the finish below. 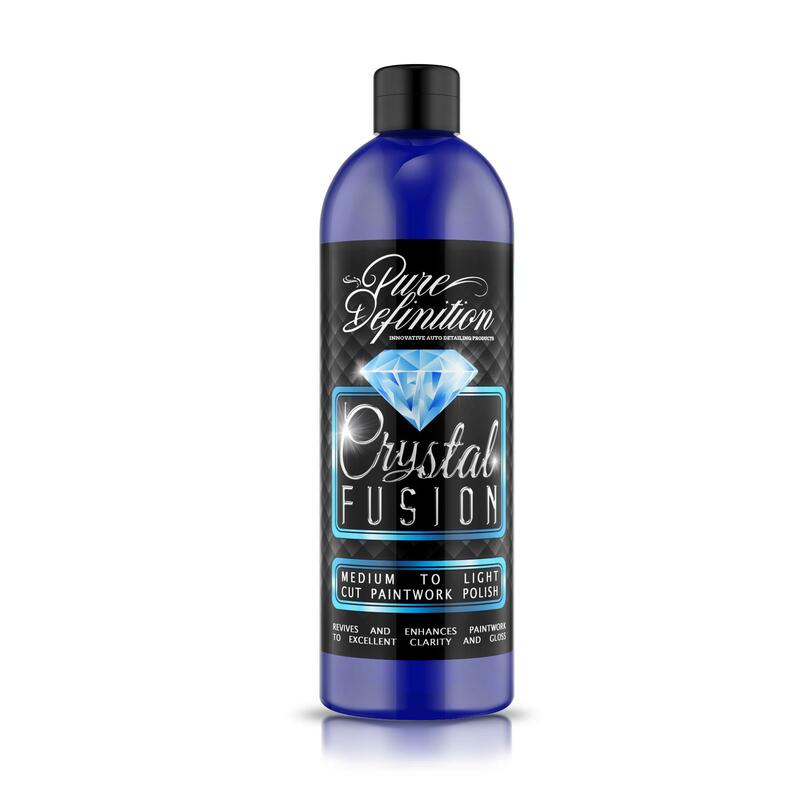 Crystal Fusion Final Finish polish is formulated utilizing micro-abrasive technology. The micro abrasives focus on removing medium to light paint defects with the precision and clarity that perfectionists demand. 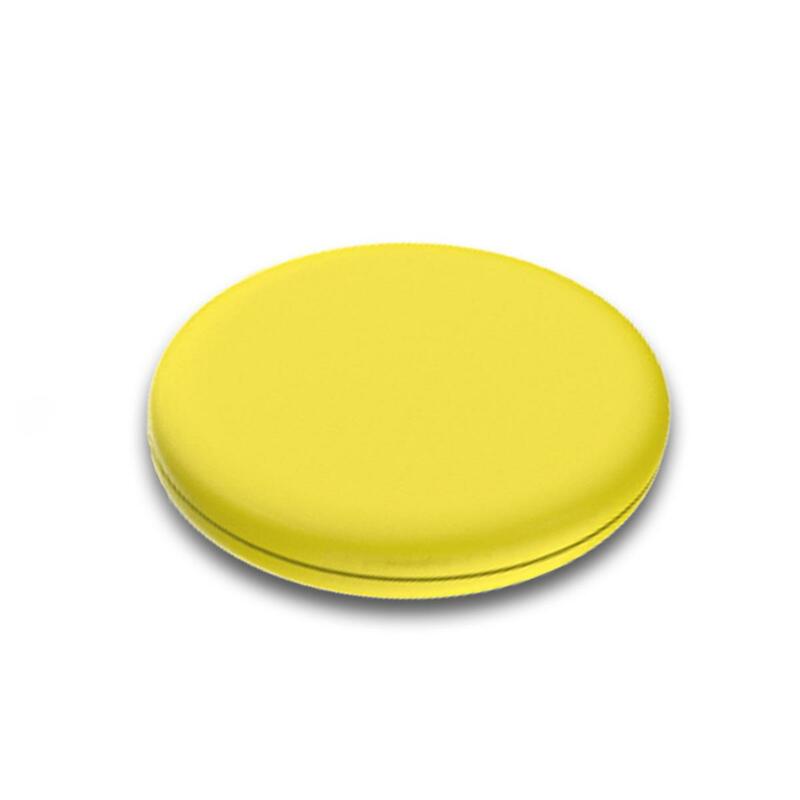 The polish is developed to revive and enhance the clarity of paintwork, leaving a glossy and reflective finish. The Crystal Fusion Final Finish micro abrasives ensure that the defect removal is permanent. This ensures the best possible finish, rather than just filling in the scratches and defects. Once the defects have been removed, the paintwork can be enhanced even further with a protective wax. 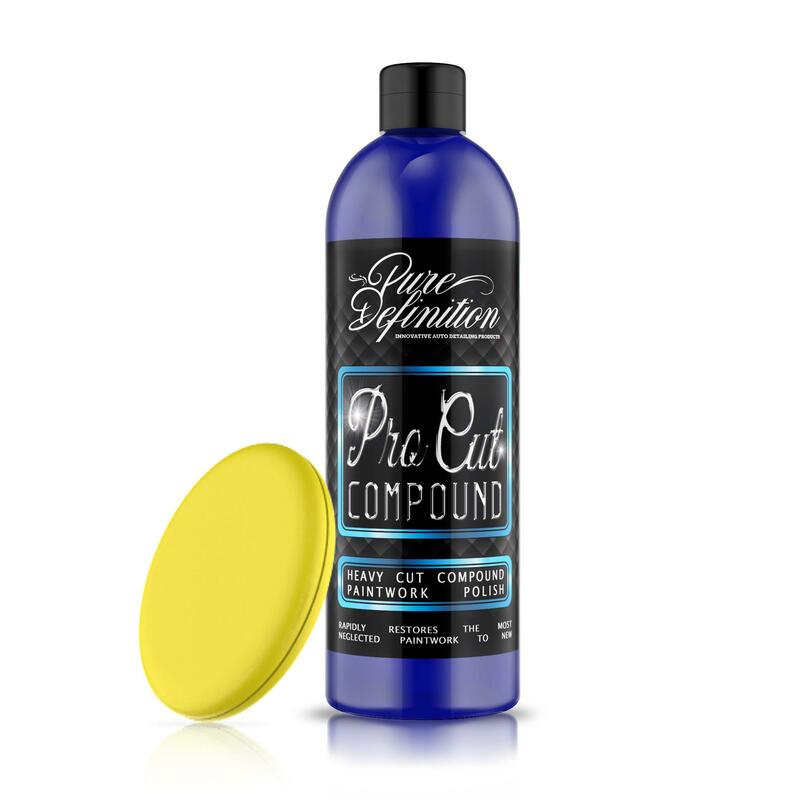 Pure Definition's Super Soft Polish & Wax Applicators are a key tool when it comes to applying detailing formulations and treatments such as, polish, wax, vinyl gel and more. The applicator molds to the curvature of the bodywork ensuring even distribution of the product. The high-quality soft polyfoam cell structure is super absorbent, which makes applying the product very easy as it gradually releases the formulation. Heavier grade cutting polishes should be applied first, followed by lighter cutting polishes (if required). After application, you may want to apply a wax or sealant to protect and enhance the finish. Wash your vehicle ensuring that all dirt is removed from the paintwork before polishing. Do not use the polish on contaminated, or dirty paintwork, as this will result in further scratches or defects. Once the area to be polished is clean, shake the bottle well and apply to an applicator if using by hand, or 4 pea sized drops to a pad if using a machine polisher. 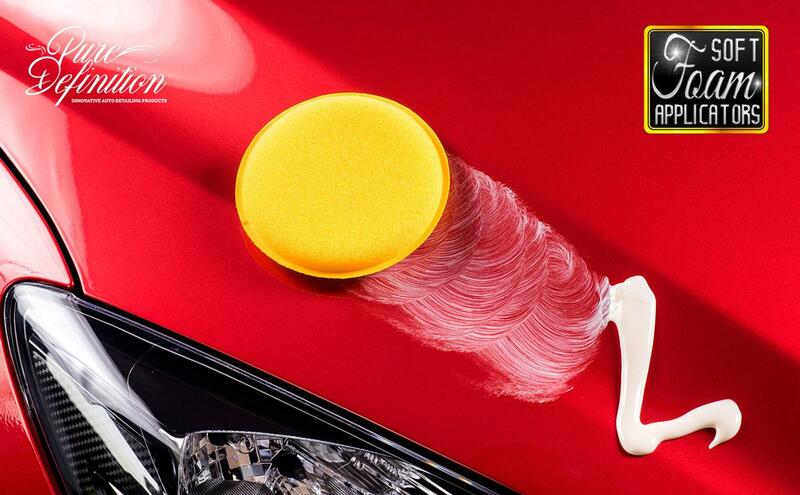 Work the polish into the paintwork before buffing and removing the residue of the polish with a microfibre cloth. Once the polishing has been completed, apply a wax or sealant over the finished paintwork. This will add protection to the paintwork and enhance the finish, adding an extra dimension to the paintwork.